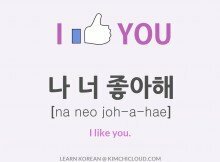 This lesson will teach you how to say “he’s handsome” or “you’re handsome” in Korean. 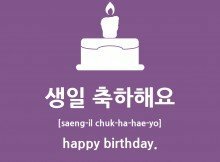 For this, you use the phrase “jal-saeng-gyeoss-eoyo” (잘생겼어요). It doesn’t get much more complicated than that but there are still some things to note. For example you would only say this to a guy. To a girl, you would say yeppeoyo” (예뻐요). Hyun Bin(-eun) “jal-saeng-gyeoss-eoyo” (in Hangul: 현빈(은) 잘생겼어요). = Hyun Bin is handsome. 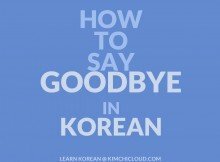 How would I say “a handsome guy” in Korean? 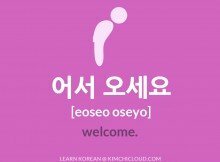 If you want to compliment a guy on his style or appearance, you can use the word “meosisseoyo” (멋있어요). Just like above, you can remove “yo” (요) if you’re talking to a close friend. Again, try this on you guy friend! 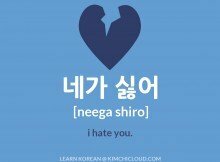 How would I say “ugly” in Korean? Although you might not want to say this to people, it’s still good to know don’t you agree? To say “you’re ugly” in Korean, you just say “mos-saeng-gyeoss-eoyo” (못생겼어요). You can use this with the same sentence structure as we previously learned in this lesson. Note: In case you are wondering about the word used in the title, it is simply the dictionary form of this word, meaning that all conjugations / forms we learned in this lesson come from that one. Who is the most handsome Korean guy? Tell us in the comments below! Or if you just have a question, we will do our best to help you out! And please like or share this article if you found it helpful! hello..i’m just wanna ask.. did we really have to add eun in every names or not? Thank you so much for this articles ! Its a bit hard to choose just one as most handsome for me, but Ill say Kim JaeJoong as he is my ultimate bias （＾ω＾).